After coming off an away-series loss against the Arkansas Razorbacks, Ole Miss takes on its final home competition this weekend against conference rival Georgia. The Rebels, who have a 28-21 overall record and a 5-16 conference record, are eager to add a few more wins to their record against the Bulldogs, who have proven with their 15-6 record to be more successful than Ole Miss in conference play. In its all-time series record against Ole Miss, Georgia has a major upper hand, leading 42-8. On paper, Georgia certainly looks to be a tough matchup, for it is ranked No. 5 in the week 12 USA Today/NFCA Coaches Poll and has moved up to No. 6 in the ESPN.com/USA Softball Poll. However, numbers and records aren’t everything in this sport, and Ole Miss has put up some great fights against competitive teams this season. Though they did not win their respective series against the following schools, the Rebels did defeat conference rivals LSU, Mississippi State and Auburn, all of which were ranked above them. To defeat the Bulldogs, though, the Rebels will have to prove themselves offensively. Georgia has 21 shutouts this season alone and recorded six consecutive shutouts from Feb. 17-24, tying the program record. If Ole Miss can hit some home runs – like it recently has against UT-Martin, Alcorn State and Louisiana-Monroe – it has a fighting chance. In its series against those teams, Ole Miss had success hitting the long ball, allowing the Rebels to zoom past their competitors. Ole Miss also scored a home run in its second game against Arkansas last Sunday, marking only the second time all season in which Ole Miss hit a home run and failed to pick up the win. Hopefully, this same fate doesn’t befall the Rebels – should they score another home run – over the weekend. Georgia has won all seven of its SEC series this season, making it the only team in the conference to do so. Ole Miss, on the other hand, hasn’t clinched any SEC series wins in 2018 season. Saturday’s game will serve as the Rebels’ senior day, during which the team’s seniors will be celebrated for their achievements and accomplishments as Rebels. Bry Castro, Alyssa Clayton, Elantra Cox, Elisha Jahnke, Kaitlin Lee, Paige McKinney and Alex Schneider are the seven seniors who will be lacing up their cleats and buttoning up their jerseys one last time for regular season play over the weekend. All of these players have been an integral part of the team’s success during the 2018 season, setting records and leaving a strong legacy at Ole Miss. Although the Rebels haven’t performed as well as they would’ve liked to in conference play this season, they still have a chance to make it to the postseason SEC tournament. These games will be played May 9-12 at the University of Missouri in Columbia and will feature rivalry teams competing. 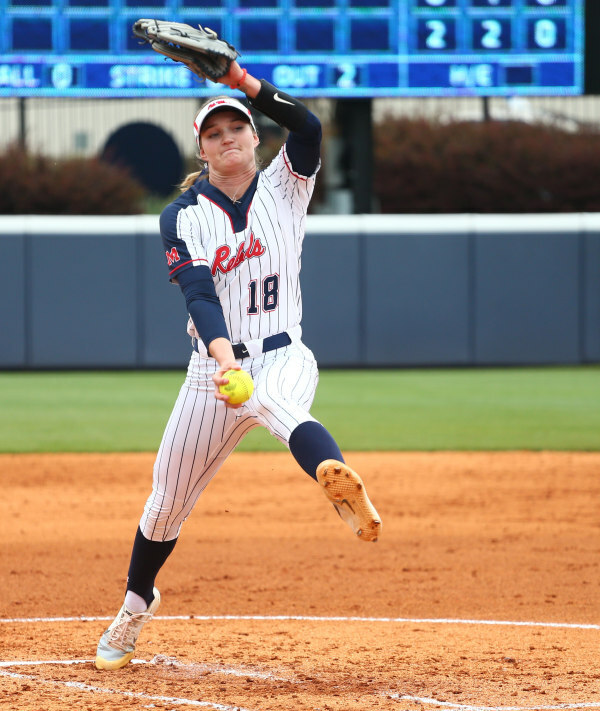 The Rebels will face the Bulldogs at 6 p.m. Friday, 4 p.m. Saturday and 1 p.m. Sunday. All games will be streamed live on SEC Network +.